Gorgeous vintage art deco inspired Deer Pendant necklace by Folklore. Designed for those who are graceful, compassionate and intuitive. On a gold coloured metal chain and with high quality enamel design this statement necklace is a fabulous gift idea. Clever and beautiful! Folklore vintage style Deer pendant necklace. 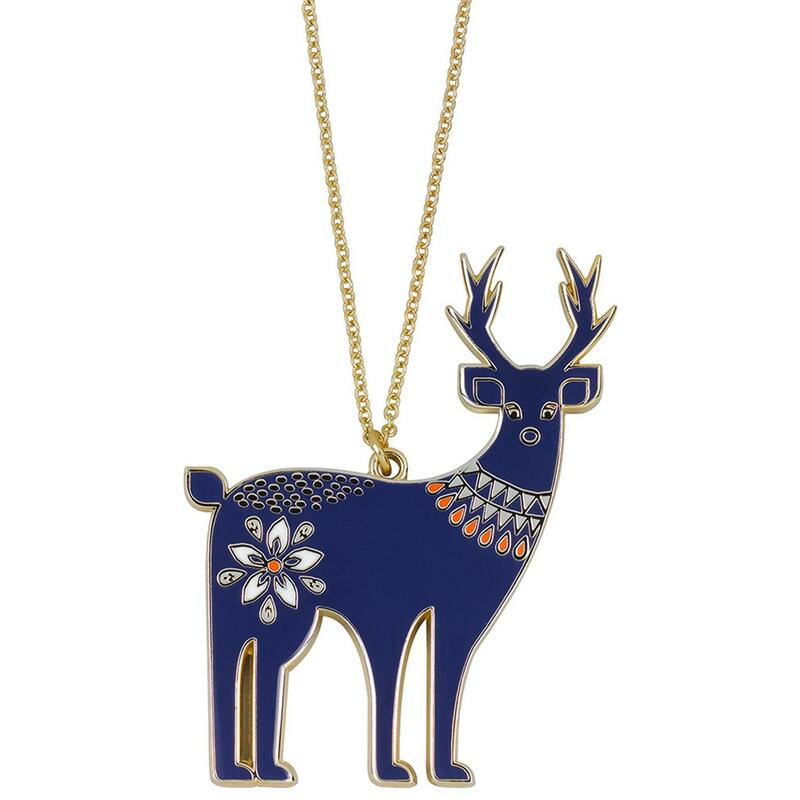 Enamel deer pendant on gold coloured metal chain. Length is adjustable from 80cm/31" to 72cm/28" approx. Comes in presentation gift box.